Jul. 06, 2018, 8:30 a.m. If you’ve ever found yourself among the throngs that frequent Manayunk’s nightlife scene, you were apparently doing exactly what the first settlers intended. The Northwest Philly neighborhood got its name from the Lenape word for “place where we go to drink.” Yep! 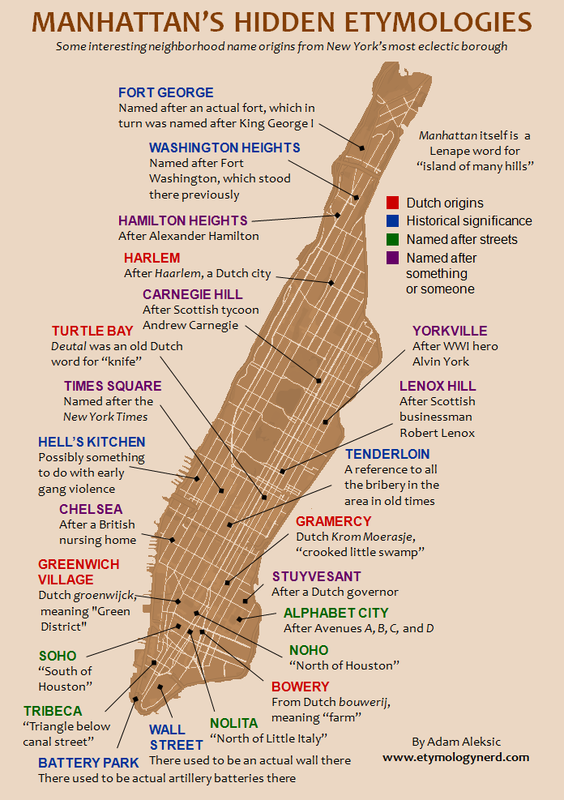 If that has you wondering about the meaning behind other local place names, you’re in luck. 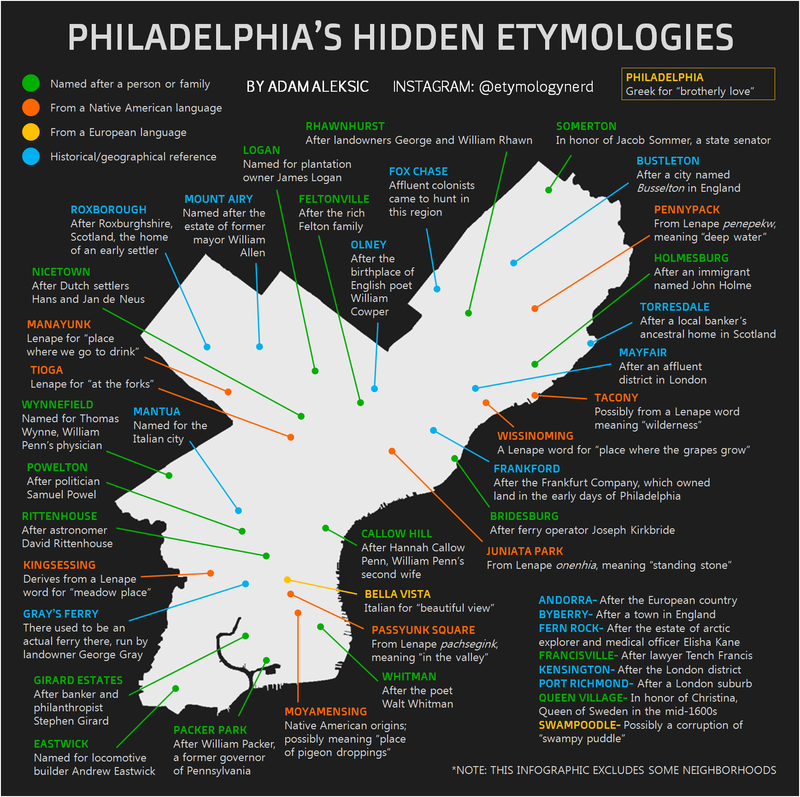 Hobbyist Adam Aleksic recently handcrafted a map of Philadelphia that features brief etymologies of dozens of neighborhoods around the city. The full list is written out below, but here are some highlights: Kensington is named after a district in London. Grays Ferry was named after an actual ferry that used to be stationed in the neighborhood, run by a man named George Gray. And Swampoodle? That’s probably just a corruption of what was supposed to be “swampy puddle.” Fun times. A couple surprises about Aleksic. One, he’s young — just a high school senior. Two, he’s not from Philly and has never visited. This etymology map is just a thing he does. Philadelphia is the sixth city he’s given this treatment, putting it on a list that includes Chicago, New Orleans and Manhattan. 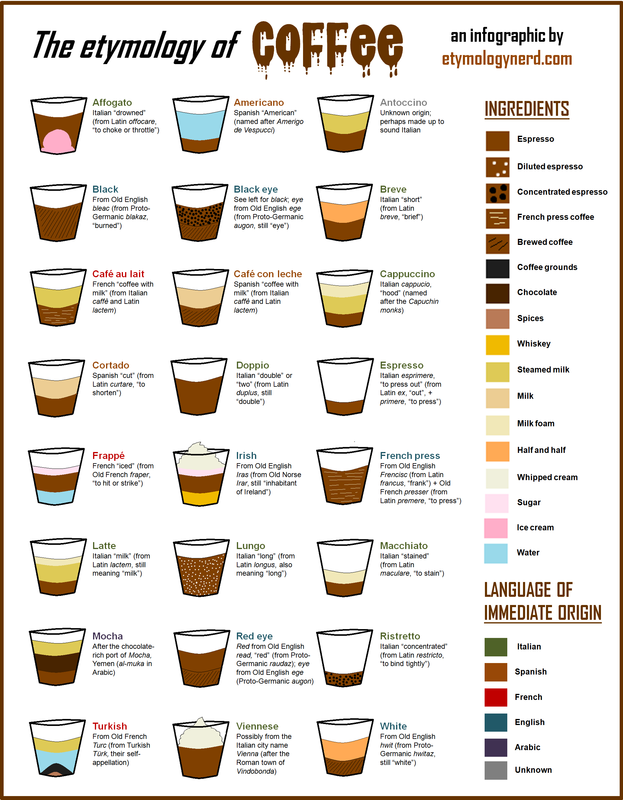 He’s also turned the etymology of coffee and the human body into easily digestible infographics. Aleksic has been running his website, called “The Etymology Nerd,” for two years now from his home in Albany, New York. And this guy hasn’t yet graduated high school. Aleksic said he loves running the site because it combines his academic interests. 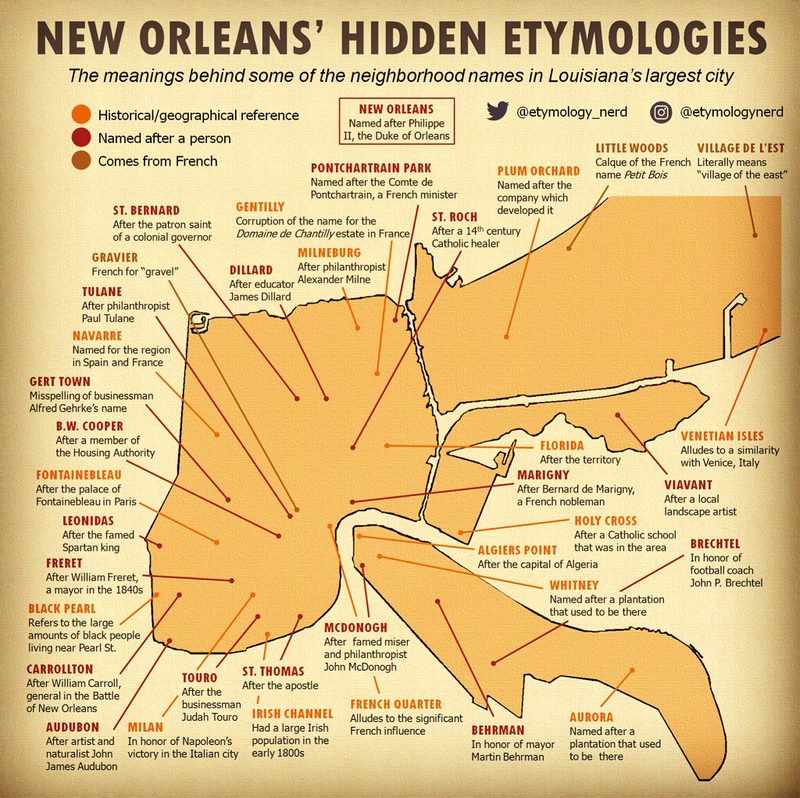 To complete the Philly neighborhoods etymology chart, Aleksic said he consulted various sources, including Philly Mag, WHYY, Mental Floss and the city’s Department of Records. When he shared his work, the post got pretty good feedback — more than 1,000 upvotes on reddit, and 83 likes on Instagram. A look through people’s comments shows the Manayunk drinking connection was one of the more popular takeaways. We ran through Aleksic’s list, and found some context for each description. 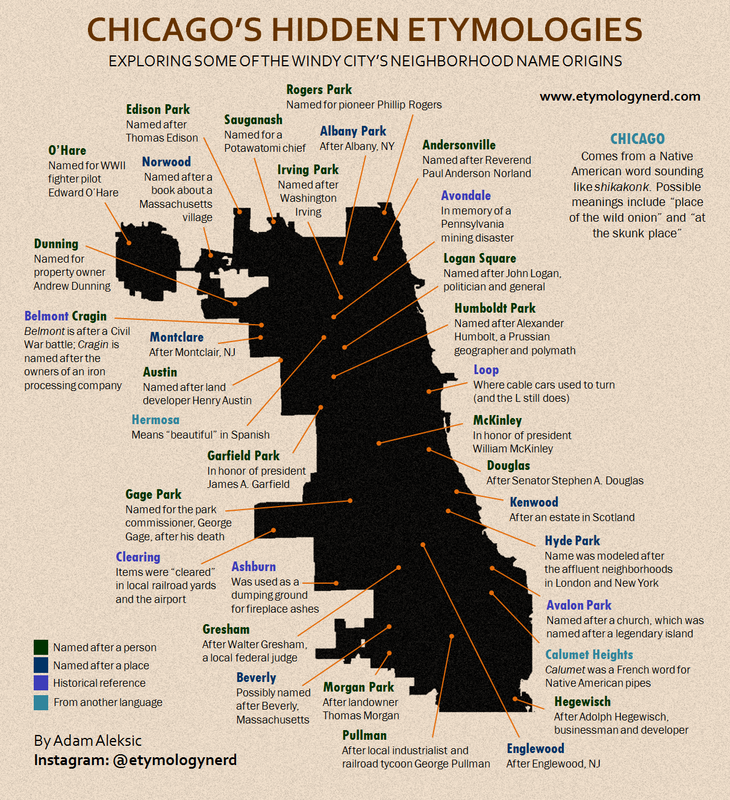 Here’s the brief background of 43 Philly neighborhood names.